The decision of the European Court of Human Rights in Moor vs. Switzerland: towards a new modification of the prescription rules in personal injury cases? Asbestos has become an important social issue on account of its massive industrial use in the past and the large number of victims as a result of their exposure to asbestos. But asbestos as a health risk has also led to great dynamism in the field of personal injury law and the rules of prescription. A joint blog by UCALL-researchers Evelien de Kezel and Marnix Hebly on a recent decision by the European Court of Human Rights in the asbestos-related case of Moor vs. Switzerland. It is generally acknowledged that the period between the exposure to asbestos and the manifestation of an asbestos disease may vary from 20 years to a period of 40 years. The European Court of Human Rights (hereafter: ECHR) held in its decision of March 11, 2014 in the case of Moor and others vs. Switzerland (appl.nos. 52067/10 and 41072/11, ECHR (069) 2014, available only in French) that, because some aspects of asbestos cases do not fit within the traditional mould of other personal injury cases, some of the prescription rules must be relaxed or modified. The ECHR considered that, due to the lapse of time in asbestos cases where the damage very often occurs slowly, the fact that a plaintiff is unaware that he or she is suffering from a particular asbestos disease for a very long period should be taken into account in calculating the limitation period. Hence, the question arises whether this decision may also affect the application of the prescription rules in other Member States, such as the Netherlands. It is not surprising that this ruling of the ECHR has led to parliamentary questions concerning the applicability of the rules of prescription in asbestos cases (Aanhangsel Handelingen II 2013/14, nr. 1758). The case concerned a worker who was diagnosed with malignant pleural mesothelioma in May 2004.This disease was caused by exposure to asbestos at work in the 1960s and 1970s. The Swiss national accident insurance fund had paid the victim insurance benefits until his death under the occupational diseases compensation scheme. But the victim also applied to the courts seeking an award from his employer in respect of pecuniary and non-pecuniary damages. After his death in 2005, his widow, who also received payments under the Swiss occupational diseases compensation scheme, lodged a claim with the Swiss national Insurance fund in respect of non-pecuniary damage. She contended that the insurance fund and her husband’s employer were jointly and severally liable for his death since they had failed in their obligations concerning occupational health and safety. In 2006 the victim’s two daughters joined the proceedings and submitted further claims. They also stated, in their capacity as heirs, their intention to pursue the case brought by their father against his employer. The Federal Court, just as the local courts, held that all these claims had lapsed, since the Swiss Federal Law on liability lays down only a period of ten years after the occurrence of the damage beyond which all claims have lapsed (this period starts to run on the date when the person concerned had been exposed to the asbestos dust). In this particular case, the year 1978 was identified as the date when the damage had last occurred, irrespective of when the damage had become apparent. It is generally observed that the time in which an asbestos-related injury actually “occurs” is very difficult to determine. Hence, the ECHR observed that the systematic application of the prescription rules, as set out in the Swiss federal law, to persons suffering from diseases which could not be diagnosed until many years after the triggering events, may deprive those persons of the opportunity to assert their rights before the courts (a violation of Article 6 § 1 of the Convention). In 2000, the Dutch Supreme Court held that, under special circumstances, the application of the then applicable thirty-year limitation period may be unacceptable in light of the principles of equity (fairness and justice), see the judgment in HR 28 April 2000, Van Hese/De Schelde. According to the Supreme Court, the question whether the limitation period should be set aside in light of the specific circumstances of each case should be answered on a case-by-case basis and in light of seven criteria, amongst which are the degree of culpability, the presence or lack of insurance coverage, the possibility for the tortfeasor to defend himself against the claim and the swiftness of the legal recourse by the plaintiff. Also in 2004,a bill had been adapted revising the law on limitation periods for future personal injury cases in the Netherlands.As for damage that occurred before 2004, the jurisprudence of the Supreme Court remains valid. 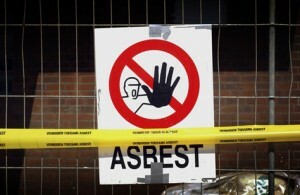 Obviously, most asbestos diseases were contracted before 2004. This means that the prescription thresholds for access to compensation remain an obstacle for many asbestos victims. The complex and severe nature of the typical prescription rules and the particular situation of asbestos victims demonstrate the need to circumvent limitations in light of asbestos victims’ right to have access to the courts. However, in our view, Dutch case law can be considered to be in line with the above-mentioned decision of the ECHR.As demonstrated above, the Dutch Supreme Court has already created the possibility for the courts to modify the limitation period in cases where a victim was not aware and could not have been aware of the presence of damage. The Dutch Supreme Court clearly addressed the criteria according to which a court must demonstrate its reasons for imposing or rejecting prescription rules in such cases. This is also the opinion of the Minister of Security and Justice, responding to the aforementioned parliamentary questions on the occasion of Moor vs. Switzerland (Aanhangsel Handelingen II 2013/14, nr. 1864). While noting that a statement of reasons in light of these criteria is “sufficient”, the sentencing judge should in our view sufficiently demonstrate that he has considered the parties’ arguments and has a reasoned basis for exercising his own decision-making authority. However, it must also be stressed that a broadening of access to compensation in an individual asbestos case obviously can and will be applied in other situations, in which comparable risks are at stake, and thus is also of interest to other victims. Therefore we believe that it is not the judge but the legislator who is best placed to design the criteria for access to the courts, also for damage that has occurred before 2004. In spite of the highest court’s creative role in asbestos cases, justice must be administered according to legal rules, not according to the judge’s individual sense of fairness and justice. Dit bericht werd geplaatst in Aansprakelijkheid en Verzekering voor Nieuwe Risico's op mei 26, 2014 door UCALL Gezamenlijk.